가장 좋아하는 of the secondary girls? Of all the "unknown" girls on the show, who would 당신 like to see 더 많이 of? Which Gossip Girl character do 당신 like the Best and Why? Blair? Serena? Vanessa? 또는 Jenny? 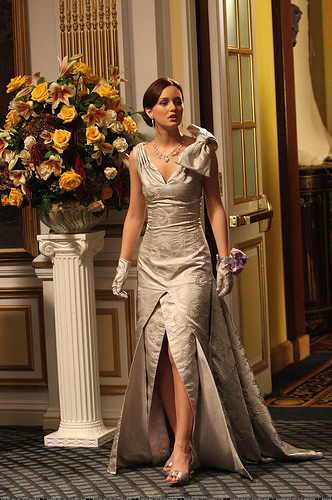 She appears in season 1.She is a friend of Blair,until Blair was dethroned as 퀸 Bee. At the season finale,she,Penelope,Isabel and Nelly made Jenny to throw her hat in the ring as to decide for 다음 year,who is going to become the 퀸 Bee. In the books, Serena came 집 from boarding school because she got kicked out for not returning for the beginning of senior year; in the TV series, the 텔레비전 version of her sibling, Eric, attempts suicide, compelling Serena to return 집 (in her junior year). The fabulous fashion of GG has made the show's leading ladies style 아이콘 of a generation...Take a look at how the Gossip girls have turned their style up a notch (or 10) over the years. a comment was made to the poll: 가장 좋아하는 of the main girls? a comment was made to the poll: 당신 prefer ? Which banner do 당신 prefer? Who is 더 많이 Devious? Georgina 또는 Blair?